Constructive criticism is always important, regardless of the type of business you’re running. It’s one of the single best ways to not only identify areas where you and your team truly excel, but more importantly, identify things that you could be doing better that you might not be otherwise unaware of. The key word in this phrase, however, is “constructive.” You need to be able to glean something valuable from what your customers are trying to tell you. To do that, you really need to consider the source. Many people believe that sending out surveys is one of the best ways to get open and honest criticism regarding what they’re doing, what they should be doing, and what they should stop doing as quickly as possible. In reality, this is incredibly false and surveys, in general, are faulty for a very important reason. The types of people who are the most likely to fill out surveys are the ones on the extreme ends of the customer spectrum. People who are really, really dissatisfied or who really, truly already love your company are going to represent the vast majority of all responses. As a result, you’re going to get a huge number of responses that you can’t really do anything with or learn anything from and the few, valuable leads that you do have are easy to get lost in the shuffle. What is Direct Customer Feedback? The best way to get the constructive criticism that you’re after is to go to more direct sources – namely, social media, forums and similar channels online. Social media, in general, has made this incredibly easy in the last few years – you can search for your company name on a site like Twitter or Facebook and look at the conversations that users are already having with one another that you had no part in starting. These are people who were already having an open and honest discussion that they never assumed you would be a part of in the first place, so they don’t have a “horse in the race,” so to speak. These are the conversations that you need to be learning from. Online communities like message boards are also a great source of this, provided that it isn’t a message board hosted on your own website. Again, these will be users who are similar to survey respondents – they’re not the customers in the middle who you really need, but are the “extreme” customers who fall firmly in “love it” or “hate it” camps. 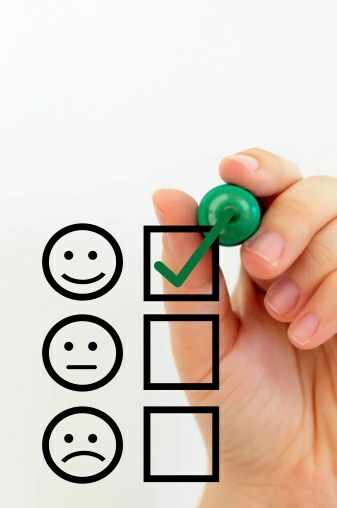 Direct customer feedback is something that you should not only embrace, but actively seek out on a regular basis. In a way, it’s like any other customer service channel – by showing that you’re ready to accept anything that your customers can throw at you, you’re showing that they have a voice that is equal (if not more important) than your own. Some business owners label people with issues “haters,” even if they have legitimate concerns. This would really only be true if you believe that your business is already perfect, which is not true. This is also hugely beneficial from a marketing perspective. Simply put, customers enjoy supporting businesses when they know that their opinions are valued and they feel valued, too. By seeking direct customer feedback through public channels, you’re putting your best foot forward in this regard and are only strengthening your marketing message, your brand, and ultimately your business at the same time. This entry was posted in Marketing on November 6, 2015 by Shawn Nag.